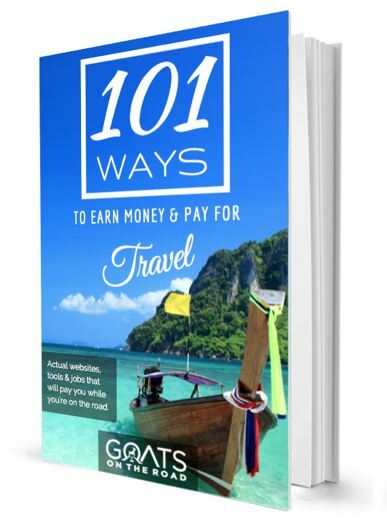 Goats on the Road Posts » Travel Blogs » Travel Announcement: South America Bound! On February 2nd, we’ll be trading in our tropical island paradise for rugged mountain landscapes, ancient ruins, lush rainforests, and Spanish colonial cities. That’s right, we’re heading to South America for the second time. This trip we’ll be travelling around for 3 months while checking new countries off our travel list: Ecuador, Peru and Bolivia. 2018 was the first year we didn’t add any new stamps to our passports, so we’re really looking forward to packing our backpacks, lacing up our hiking boots and hitting the road. Living in Grenada for this past year was exactly what we needed — for business, health and relationships. But having said that, the travel itch is starting to become unbearable. We love the house we’re renting, our friends we’ve made and what the island has to offer, but things are starting to feel a little too normal and we’re ready for our next adventure. We’re travellers at heart, and I think we always will be. Trading in the beach for mountains! 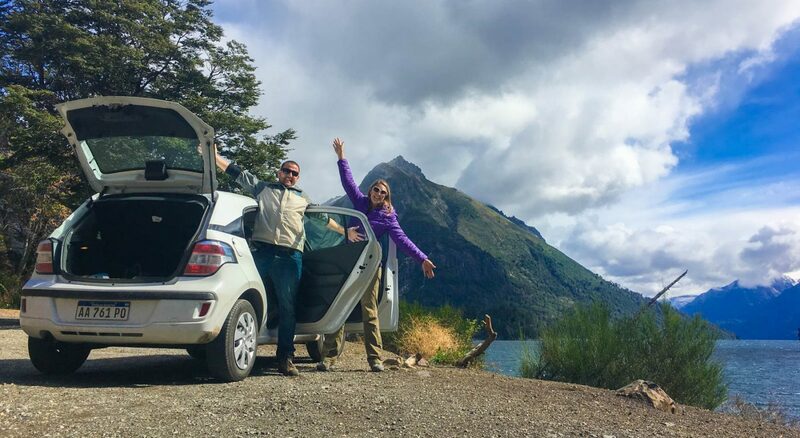 Click here to read about our previous trip to South America, which included Colombia, Chile, Argentina and Uruguay. We’ve purchased a one-way ticket. But, we both know that we’re returning to Grenada at the end of our South American adventure. This feeling of wanting to “return” is new for us. Except for 2018, we’ve mostly been moving on to new destinations. 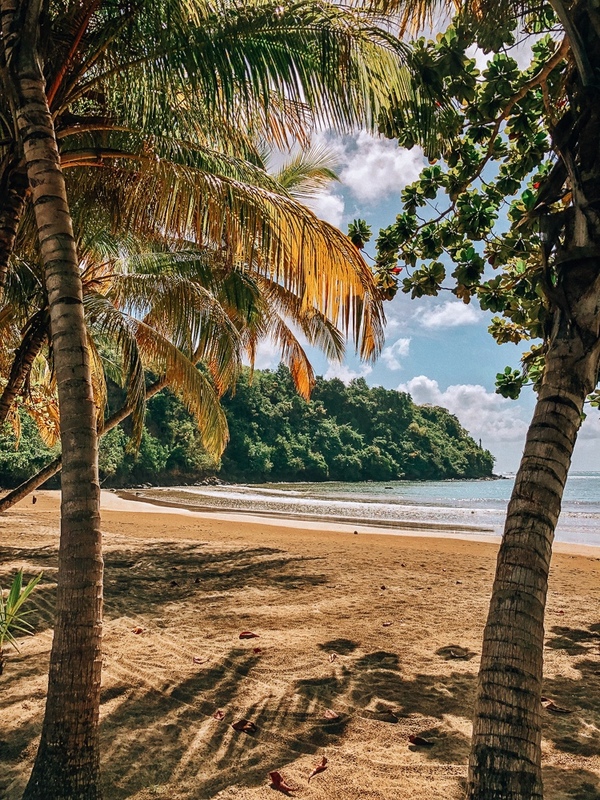 After 10+ years of our nomadic lifestyle, we’re finding joy in having a community and are constantly learning new things about Grenada, and finding hidden gems here. Our home will be waiting for us when we return, as will the extra things we’ve accumulated while we’ve been here. Normally, we’d have to give away any excess items we had acquired during our temporary stays. This time around, our friends will store our (few) things we have and it’ll be nice to not shove everything we own into a 40L backpack. We’re just bringing the necessities! This 3 month trip will be somewhat different from ones we’ve done in the past. 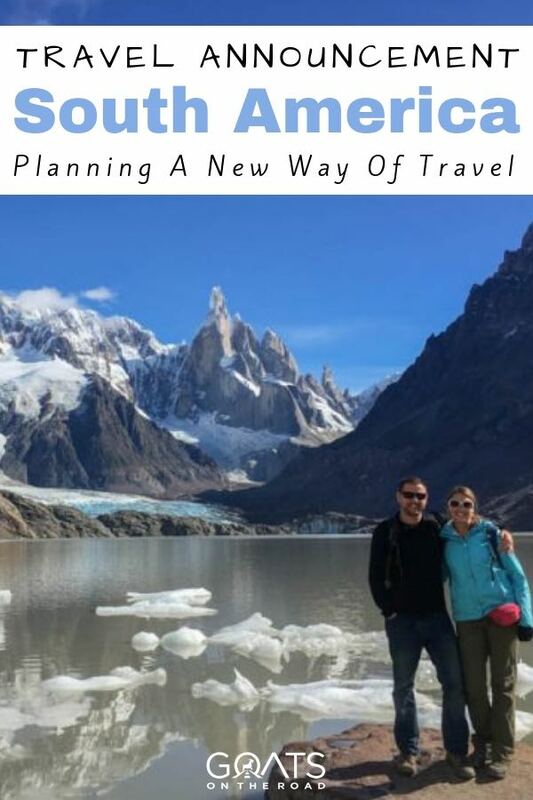 We’re not the same people we were 11 years ago when we set off on our first backpacking trip, and we’ve changed since our last trip to South America in 2016. We’re constantly growing and evolving. Our circumstances have changed, our preferences have changed and quite simply, we’ve changed. We’re older, (somewhat) wiser and our interests are different. We’ll be travelling with backpacks, but not staying in backpacker accommodation, or sticking to a backpacker budget. Rather than partying all night with fellow travellers, we’re interested in interacting with local people. One thing that has remained the same, however, is that we’ve planned everything ourselves and will sort out transportation, food and activities as we go. We’ve even planned the Galapagos Islands independently! These days, it’s more important than ever to be a responsible traveller. Not that we haven’t been in the past, but this time around, we’re really going to focus on that aspect of travel. We’ll be bringing our Steripen to reduce the use of plastic bottles, and the soaps and shampoo we have are all natural, and package free. We’ll shop at markets and support small vendors where possible. When it comes to tour companies and accommodation, we’ve been doing a lot of research on which ones are eco-conscious and give back to the communities they are a part of. It took a lot of researching for Machu Picchu, but we feel we’ve found an excellent company that focuses on sustainability, fair wages and social economics. Many of the accommodations we’ve booked have a strong focus on the environment, with some hosts requesting we only use natural insect repellents and sunscreens. Plus, many of them offer homemade foods baked by local neighbours and organic gardens in the yard. We won’t be working with any hotels, tour companies or airlines…by choice. Our website traffic has tripled over this past year (thank you for reading! ), with 350,000 people visiting this website each month. This is an accomplishment that we’re very proud of, and we’re so happy to be able to share our message with more people. Because of our high website traffic, there’s the potential to create some great partnerships with brands in Ecuador and Peru. But we want this trip to be all about enjoying travel — without working with any companies. We’re looking forward to not having the pressure and stress of creating content on a deadline, and can’t wait to simply travel again. 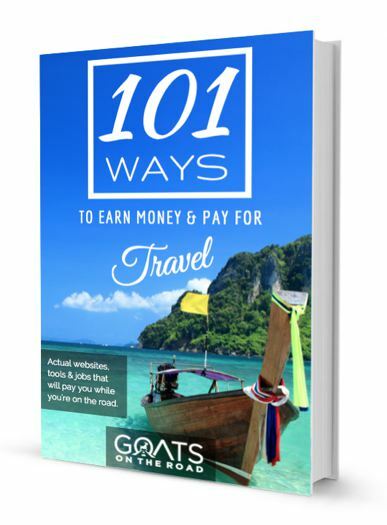 Don’t get me wrong, receiving free travel is one of the great perks of becoming a travel blogger, and many influencers base their business plan around press trips and brand campaigns. This is great if that’s the route you want to take, as there is money to be made and incredible experiences to be had. We’re grateful for all of the press trips and campaigns we’ve been a part of in the past, and we’re not against them for the future. But, we’re looking forward to this particular trip being about travel, without a side of business. While we might not be writing review articles or creating brand specific posts, we’ll definitely be writing about this trip! We’re excited to share our stories, photos and must-dos with you. Stay tuned for must-eat’s, must-see’s and destination guides to Ecuador, Peru and Bolivia. If you’ve been following our journey for a while now, you’ll know that we’re usually fairly spontaneous when it comes to travel. We’ll arrive somewhere and move on when we feel like it. Over the past 2 years, we’ve become more indecisive for some reason and planning where to go next has been a challenge. Plus, we don’t really like to plan since we never know what the future is going to bring. 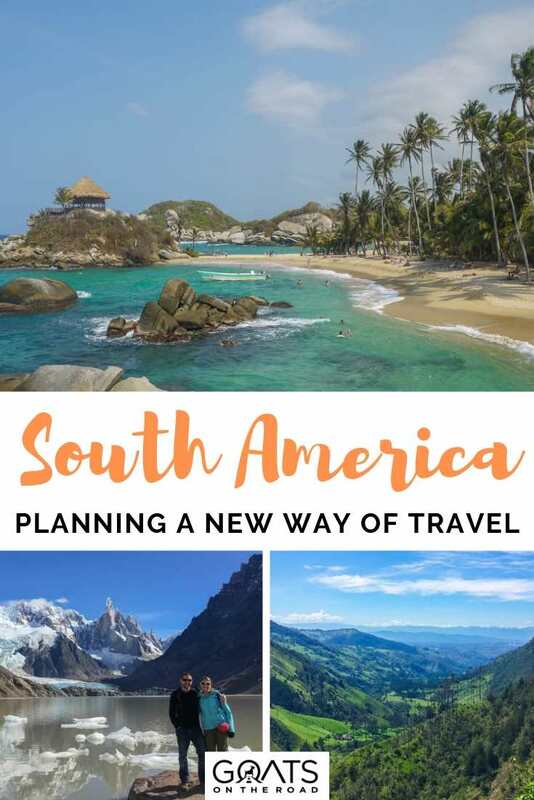 Rather than spend our upcoming trip trying to figure out our route, the cities we want to visit, the excursions we want to do and where we want to stay, we’ve booked many things ahead of time — for the first time ever. I think it’ll be nice to not “waste” any precious travel time while we’re on a trip with a deadline (even though it’s a one-way ticket, we have a date that we plan to return to Grenada). Of course, not everything is set in stone, but we did book accommodation and flights and we needed to book Machu Picchu ahead of time. We’ll figure out transport, excursions and food while we’re in-country. During our past travels, we’ve mostly stayed in hostels, guest houses, hotels and apartments. This time around, we’re staying in some incredible, one-of-a-kind places that we’ve found through Airbnb. We’ve been recommending this accommodation platform on our website and in our newsletter. We use it, and we love it. When you sign up for Airbnb, you receive $25-$40 off your first stay, and we receive $15 off our stay. Over time, we’ve accumulated some credit and are putting it towards unique homes in South America. See Also: Airbnb Coupon Code: Receive $25-$40 off! While planning, we searched on Booking.com, Hostel World and Airbnb for places to stay. What stood out the most was the value for money on Airbnb. 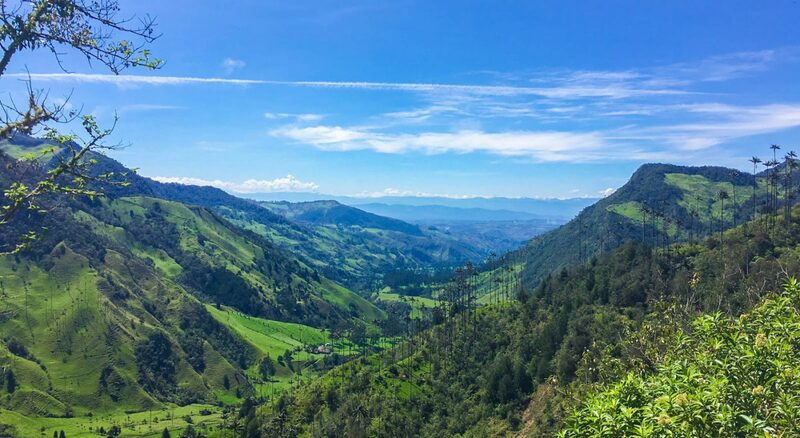 For us, it simply didn’t make sense to overspend on a basic hostel or a hotel room when we could enjoy an eco-friendly cloud forest home, a cabin in the mountains or a cottage next to a river. 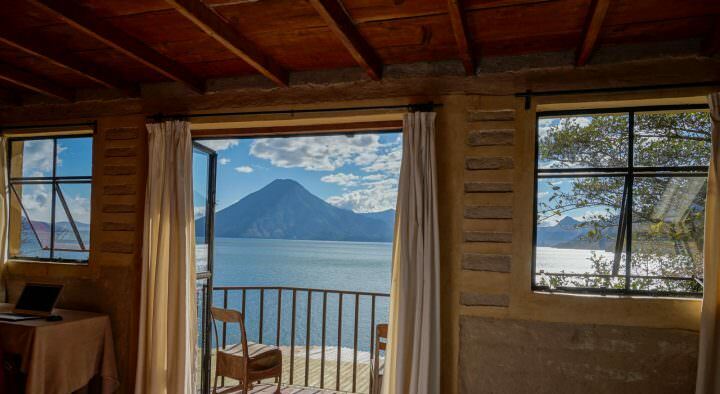 Of course, these stunning properties cost a bit more than a hostel, but we think it’s worth it for the character and location of the places. We love the platform because we’ve been able to make friends with the hosts, or at the very least we’ve been given some excellent local advice on off-track things to see, do and eat. One of the perks of staying in Airbnbs is that sometimes you’ll befriend the hosts! 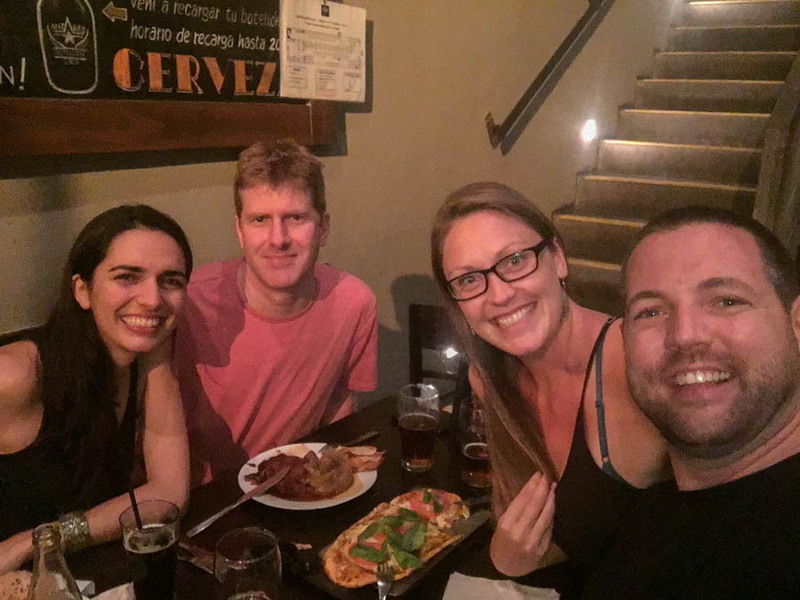 In Buenos Aires, we went to a restaurant/bar with our hosts, one we never would’ve heard of otherwise. The night out was great and we learned a lot about the city, and Argentina as a whole. In Manzanillo, we enjoyed dinner parties, fun events and many conversations with our hosts, who soon became great friends! For us it’s all about interacting with the local people and learning about their culture and customs. We’re really looking forward to this aspect of our South American trip. I think we’ve finally accepted the fact that we like to travel slower than most people. If a blog or guidebook suggests 3 days in a town, we’ll stay at least 5. The best part of travel is exploring at a slower pace, finding places that aren’t on the well-trodden trail, and of course, having time to spend with people we meet along the way. 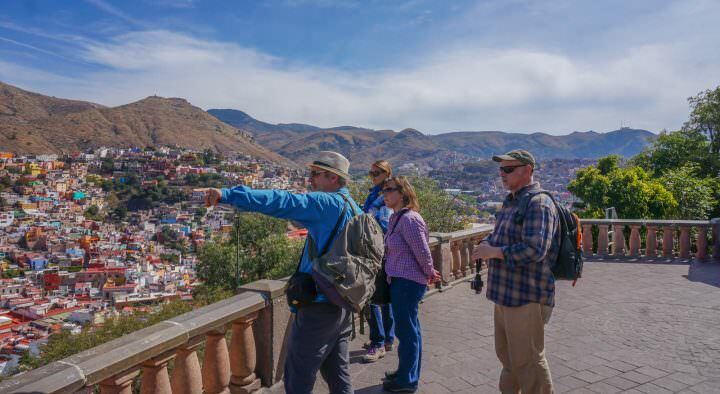 For most of the destinations we plan to see, we’re staying 5 – 7 nights, with 2 weeks spent just in Cusco and The Sacred Valley. I actually think it might be hard to leave the natural surrounds of some of the places we’ve booked. Ecuador, Peru and Bolivia are very diverse countries and offer travellers history, culture and adventure. 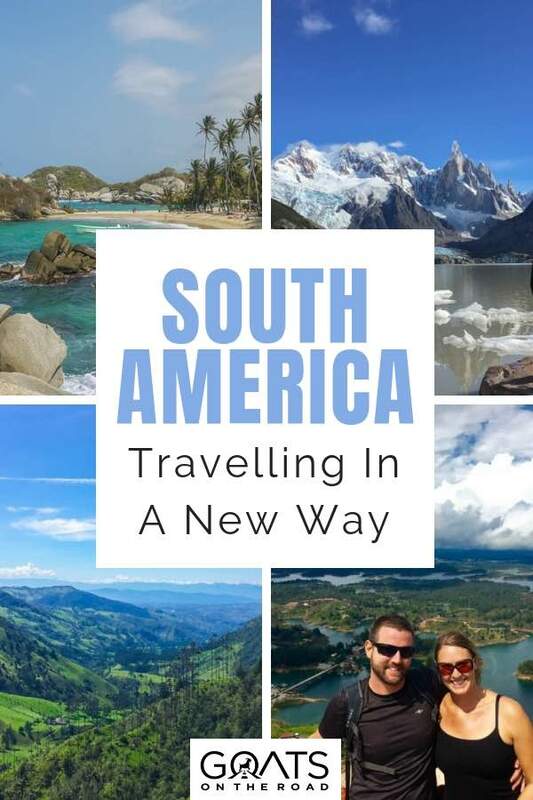 From the Amazon and Andes to the coast and desert, there’s something for everyone. For us, we’re especially looking forward to all of the ancient Inca ruins and our trek to Machu Picchu. Many people opt to take the new train that leads up to the site, but we’re going to hike for 5 days on the Inca Trail, before reaching the famous ruins. The trekking and adventure aspect of this trip is going to be incredible. These countries are known for their numerous waterfalls, mountain bike trails, hiking trails and multi-day excursions. Bring it on! Not only will the history, culture, and adventure be a highlight, but so will the wildlife. 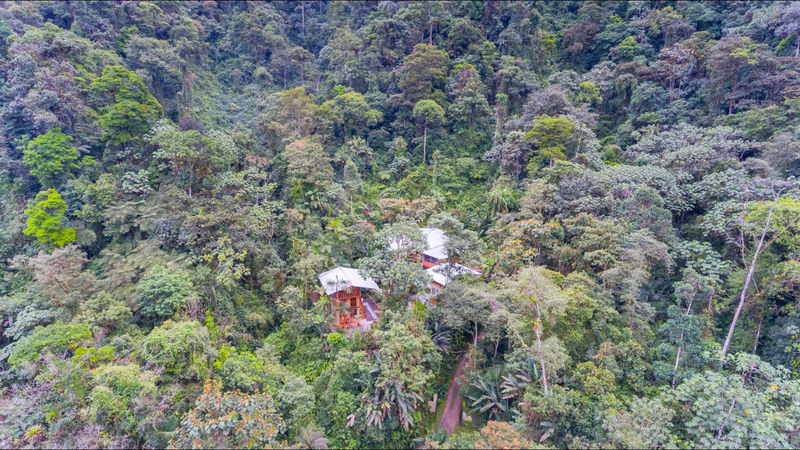 The cloud forest town of Mindo in Ecuador is known for its 400+ species of birds. Not that we’re birders, but seeing (and hearing) toucans and other vibrant birds from our balcony with coffee in hand is going to be pretty amazing. When it comes to wildlife spotting, nowhere is going to compete with the Galapagos Islands. We’re visiting Santa Cruz and San Cristobal Islands, with some day trips planned. We’re looking forward to spotting giant tortoises, land iguanas, blue footed boobies, hammerhead sharks, turtles, sea lions and more. Oh, and I’m sure we’ll spot many llamas in the region! For those of you who have been to Miami, Ecuador, Peru and Bolivia, we’d love to hear from you. Either send us an email, or leave a comment on this article about the must-do activities, must-see sites, your favourite towns and your top restaurants and bars. This is going to be one epic adventure! Make sure to follow us on Facebook and Instagram to see photos and stories from our trip in real-time. Look into llamaproject.com in the Urubamba Valley for an ecofriendly local friendly hike with llamas. That sounds like an awesome few months ahead. Looking forward to lots of posts from South America! When visiting the country of Ecuador comes up in a conversation we always bring up our stay at the Black Sheep Inn. I don’t remember how we stumbled on to this Inn but it has always ranked at the top end of places we have stayed. We stopped at the Black Sheep Inn for several nights a dozen years ago (5+ months of back packing through South America) yet we still remember our stay. I found your writing on how your travel has changed similar to ours. We began our drive around the world travel three years ago (and at the time we began we were roughly 65 and 68). We have slowed down and are enjoying exploring and learning more about the area we are in rather than hurrying on to the next great place. Less than two weeks before we continue our drive from Spain to Morocco to Western Sahara to Mauritania to Senegal to The Gambia back to Morocco. The “Flat Land Tourists” from Kansas, Jean and Richard. Can’t wait to see more of your stories this year! I hope you will enjoy the trip on the Galapagos islands! So much wildlife to be preserved there. 🙂 Enjoy the trip! We just booked our trip to Ecuador in June. Can’t wait to follow your adventures and get some ideas. Which places/cities do you plan to go to?